Rain, winds and fog have all been (negative) factors this week. My motivation completely stalled and I dragged my feet on my running, literally and figuratively. I hope i can work my way out of the rut soon. It will make things so much easier. I have really started to appreciate rest days. It’s so nice to wake up without an alarm and not have to rush right out, in the dark, to log miles. I am also starting to love our lazy Sundays, especially when the weather isn’t so fabulous. We lounge around at home and play games and nap and hang out together. It’s all rather lovely. There were some challenging moves at this class, but I think we all hung in there pretty well. I love getting my week started this way: it just sets the tone for the five weekdays. Finally! I pushed myself out of bed on Tuesday for my group run. We decided, with Gate River Run on the horizon, it was time to do some bridge repeats. The fog was absolutely eerie. But we had a nice run, taking on the entire bridge twice in our time together. I got some fabulous news later in the day. 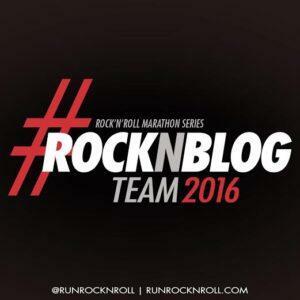 I was selected as part of the 2016 Rock ‘n’ Blog Team for the Rock ‘n’ Roll Marathon Series! I may have jumped up and down and whooped a lot. Virginia Beach in August was my first experience with the Rock ‘n’ Roll series, and I really loved it. I can’t wait to take on some more of their events in the next year. I’ll have a discount code to share, too, so stay tuned if you want to register for any of these great races. Little man and I were supposed to run, but his allergies have been absolutely out of control. I decided to err on the side of caution and give him a break this week to get his breathing back on track. Absolutely nothing to report. I wanted to hit up a yoga class, but the dreary weather kept me home. This was the warmest it’s been in quite some time, and as a result, we were all pretty sluggish. We chatted more than we pushed our limits, and you know, that’s quite alright. It was fun, and good for the soul. The raw wind kept this class from being tolerable. Little man was home from school, and he accompanied me (he was able to play on the playground with some of the other kids while the adults worked out). He did get in about a mile of skateboarding there and back, which was nice. Afterwards, we picked up his friend and went to see Kung Fu Panda 3. For a third installment, it was surprisingly good, and they absolutely loved it. There were plenty of great kung fu lessons, including this gem, which really resonated with me. Sad that I get some of my best advice from an animated children’s feature. Also of note: pandas are adorable. The kids played for the rest of the day, and absolutely wore themselves out. They just couldn’t stop giggling and laughing and they had a grand time. Even though I wasn’t going to be able to get in a long run, I was itching to take these new Mizuno Wave Catalysts* for a spin. Aren’t they gorgeous? I’m going to try again on a 3-4 miler this upcoming week, but so far, I love them and they are going to be great for my speed work. Even though they are in the stability category, they are incredibly lightweight and flexible with just the right amount of cushion. Just ten days until the Enchanted 10K and Princess Half Marathon, and I think I’m ready. This is going to be more of a fun run for me, but it will be a great way to prepare for some other big races in March and April. I’m excited. Where should I choose for my Rock ‘n’ Roll races this year? I’m totally with you on lazy sundays! Although, mine aren’t so much as lazy as actually getting things done around the house and barn. It’s just nice to have some free time to do it. Nice work getting all of your runs finished despite the crummy weather! It’s been snowing on and off here and I’m completely over it. But in other news, I DID finally get back on the treadmill! Slow and steady, 2 or 3 miles each time. Baby steps! PS: I’m completely jealous that you got to try Mizuno’s for free. COMPLETELY. JEALOUS! Getting stuff down around the house and barn sounds right up my alley! Yay for getting on that treadmill! You’re on your way! I am really excited for it! And I am loving the Catalysts. Mizuno shoes have always worked best for me, and it’s nice to have some options within the brand. Congrats on being selected for the 2016 Rock n Blog team! 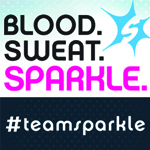 I was on the team last year but didn’t get to race because of injuries – so sad. I would have loved to try Brooklyn, and of course VEGAS. I’ve heard epic things about the Vegas race. Injuries ruin everything! I just did one race, but I am hoping to do three or four this year. Vegas would be really cool. So would Dublin and Brooklyn and Madrid and Liverpool! I hope we can make all the travel work out. 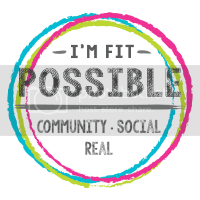 Congrats on Rock N Blog, I’m part of the team too! I know I’m going to DC and Philly, and I think I’ll go to Virginia Beach. Seems like you can’t go wrong! The weather has been kind of gloomy here too, which makes it tough stay motivated to work out. You still had a great week! I believe I will definitely be in Philly! Can’t make it to DC this year because of the Gate River Run, which is a shame because I love the East Coast Challenge they are offering. I did Va Beach and loved it, but am ready to spread my wings. Congrats on RNR! That will be a lot of fun! I love the look of your new kicks, too! I am really starting to appreciate rest days as well. I need the extra sleep. I am also testing out the new Catalysts so far so good! I was nervous because they are so light, but I love them and they are working out great so far! Oh, I have Mizuno envy! I can’t wait until my new ones come. Love the picture of the bridge! So thrilled to have more Mizuno lovers around! I have been wearing them since I started running and they are really such a great fit for me. Congrats on Rock n Blog! It was a ton of fun last year but I just couldn’t make it work with my calendar this year. There’s definitely a lot of races to fit in! 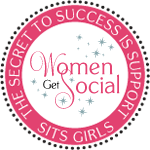 Congrats on Rock N Blog and I am loving those Mizz!! Need a new pair! Congrats on being picked as an RnR blogger! I’m looking forward to seeing all your race recaps! Congratulations!!! That’s super exciting news! Also, those shoes are definitely super cute. Mizuno always has great colors! I am a huge Mizuno fan – love the colors, love the fit, love pretty much everything about them! You should have! There’s always next year! I am so excited to get started! Fortunately I am not training for anything right now and just working on getting stronger. You have a very good running pace. It’s nice to be out of the training cycle! COngrats on becoming a Rock’n’Roll blogger, that’s awesome! I love Virginia Beach and have done it 4 times. If I had to choose three it would be Las Vegas, San Diego and New Orleans! Those all sound great! I am trying to sort out the travel aspect – it’s hard when you want to go EVERYWHERE! Congrats on being selected for the Rock ‘N’ Blog team! My son and his girlfriend are running the Rock ‘N’ Roll DC Half. My hubby and I ran the full a couple of times back before Rock ‘N’ Roll took over. It’s a great race!